In the world of health and wellness, the word “adaptogens” is making quite the buzz. These so called “magic herbs” are the latest health and wellness craze, showing up everywhere from your morning smoothie to supplement aisles. Welness advocates say these “super herbs” can adapt to provide whatever your body needs at a particular moment—whether that’s a boost of energy in the morning, an evening wind-down, or an overall sense of balance. So now you might be wondering: What in the world these miracle herbs are, and more important if they actually work to do what they promise. We reveal all you need to know, including what these herbs are, the research behind their effects, and the best supplements out there – all vetted by our editors. Made from herbs and roots, adaptogens are nothing new. They’ve been used for hundreds of years, and have been back front and center as of lately.It may sounds new but adaptogens was actually coined in 1947 and refers to substances that theoretically “adapt” to what your body needs and help protect against various stressors. Although the science is not certain, the wellness set cannot stop touting the purported benefits. Benefits include supporting the body’s adrenal glands, reducing stress levels and regulating hormone responses for an overall sense of homeostasis, or balance. What Exactly Are Adaptogens (And How Do They Work)? Made from herbs and roots, adaptogens are nothing new. They’ve been used for hundreds of years for stress relief and energy. These magic herbs are part of a special group of herbs known to help your body adapt to its environment. In a stressful situation, adaptogenic herbs maintain and restore balance, normalizing your physiological response to prevent your body and mind from jumping into overdrive and becoming exhausted at every stressor. When you deal with chronic stress, this is the cycle going on in your body: You encounter a high stress situation. Your body releases hormones in response to the stress. These hormones are meant to deal with the potential threat. The hormones then are activated through your adrenal glands, causing you to … well, stress. Enter, adaptogens. This class of herbs supports your adrenal glands, allowing them to respond to this process more efficiently. In some cases, adaptogens help shut them down more quickly – ie. stop your body reacting to stress or they allow you to stay more in control and let the situation pass. What does this mean for you? Stress is a known precursor to an extensive list of diseases including but not limited to heart disease, asthma, obesity, diabetes, depression, digestive disorders, and accelerated aging. It is also a key factor in damaging skin cells that lead to aging skin, breakouts, dull + tired skin, or dry + irritated skin. This is why adaptogenic herbs can be an essential aid to protect your skin, health, and wellbeing. 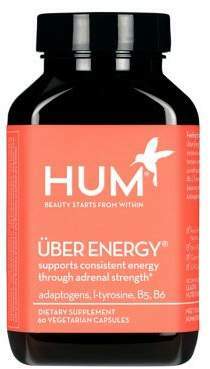 Check out the supplement Uber Energy, packed with these clinically researched adaptogenic herbs to assist your adrenals and naturally boost your energy (i.e. no more 3:00 PM slump). How Can I Use Adaptogens? Many adaptogens have been clinically researched. Some can be consumed through eating, but most are accessible through powders and pill forms. 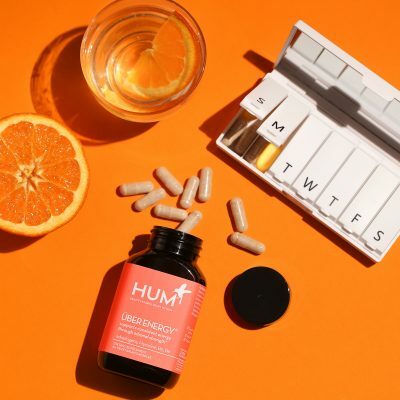 Some industry favorites include Hum Nutrition’s Uber Energy for fighting fatigue (no more mid-day slump) and Big Chill for stress relief. The key here is knowing what you hope to benefit from these supplements. For example, if you are looking to combat all over fatigue, inflammation, and depression, Rhodiola Rosea is a good choice. Rhodiola Rosea is one of the most clinically researched adaptogens with widespread traditional uses. With the ability to aid in regulating the production of cortisol, it manifests anti-fatigue, anti-inflammatory and anti-depression benefits. 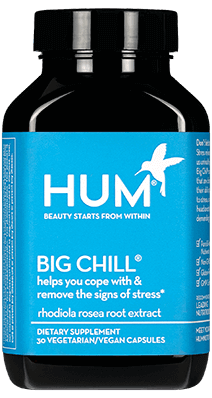 You can find Rhodiola Rosea in HUM’s Big Chill supplement for natural stress relief. Here are a few of our favorite adaptogenic supplements to support your mind and body. The rhodiola rosea root extract found in products like Big Chill can work to keep you focused and calm. This supplement is clinically proven to raise your focus to cope with stressful situations. Here’s a breakdown of how it works: L-Tyrosine, an amino acid that is used to make protein can enhance both physical and mental performance, especially when under stress. So where can you get this boost? 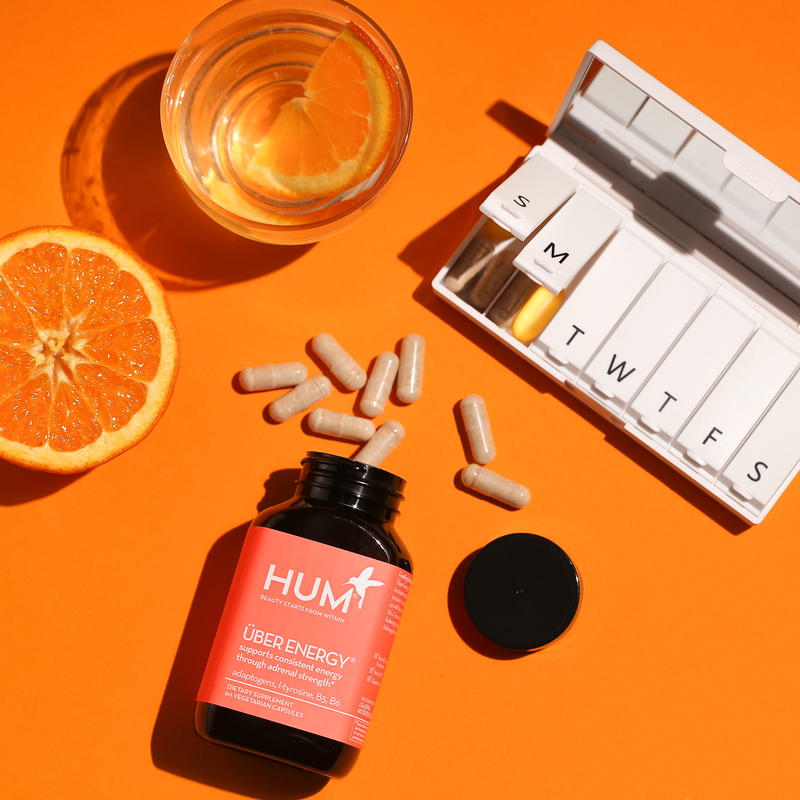 Supplements like Uber Energy, which include B5, B6, L-tyrosine, as well as a variety of adaptogenic herbs including eleuthero, ashwagandha, and rhodiola rosea, support consistent energy through adrenal strength. This combination of herbs and vitamins is designed to fight fatigue and tension. Sarah Greenfield is an RD, CSSD, HUM’s Director of Nutrition and Education, and also a TedX speaker and the founder of Fearless Fig. Looking for more healthy tips? 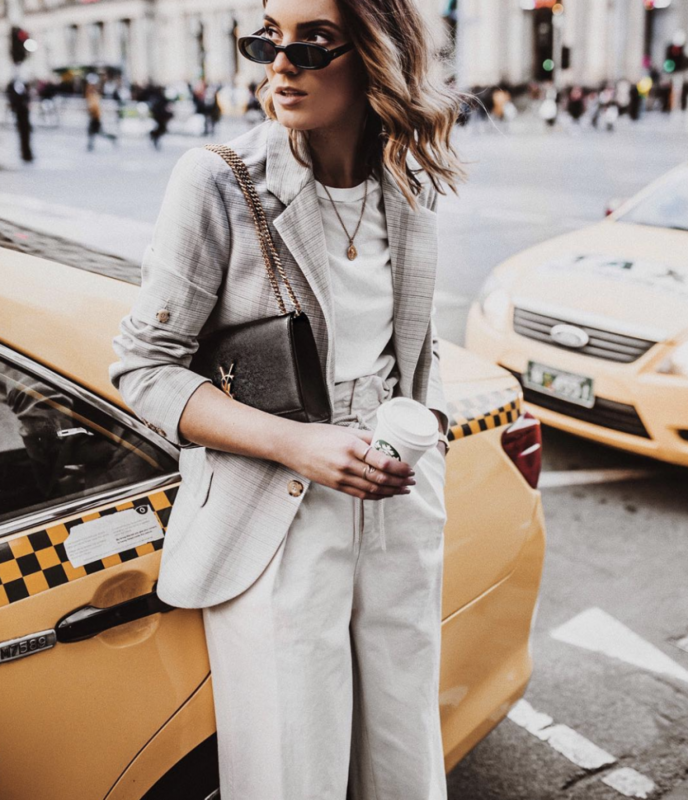 Check out 12 Healthy Habits Successful Women Swear By.